Display parking signs that are built to last. Available in the standard 18" x 24" & 12" x 18"
Parking signs are crucial to ensuring safety. PrintPlace lets you create durable visitor parking signs made of aluminum or corrugated plastic. Rust-free aluminum that comes in gloss or matte lamination and lasts at least 5 years. Reflective aluminum that comes with vibrant gloss lamination easily seen from afar. 3/16" corrugated plastic comes with grommets for you to readily hang the sign and protect the material on display. Choose from three standard sizes for your parking sign printing, from the small 18" x 12", medium 24" x 18", and the largest at 36" x 24". Rounded corners can be added to customize the shape. All signs are UV-resistant and waterproof and for both indoor and outdoor use. Grommets can be added on all corners or on the top corners of your parking signs. We also offer 3/16” hole drilling on all corners, the top corners or on the center top and bottom areas. Need to print parking signs today? Our print experts are available to answer all your questions. 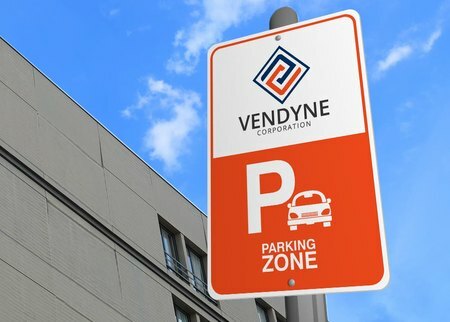 Use our parking sign layout templates to ensure your artwork is sized and formatted correctly. PrintPlace layout templates can be downloaded for each standard size label below, in an EPS, PDF, or JPG format for Illustrator or Photoshop.